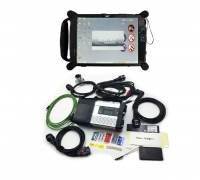 Mercedes benz das developer keygen is mercedes star Diagnosis Assistance System. Mercedes benz das developer keygen software with das developer mode user guide and tipps. Mercedes Das developer mode english software is normally shipped with every DAS system. Note: This Mercedes benz das developer keygen software send by Email. 1. Das Developer Mode is an extension to the Diagnose Assistance System for Mercedes-Benz vehicles. 2. Das Developer Mode allows in-depth manipulation of the configuration, data and programs stored inside the electronic control units of Mercedes vehicles. 3. Das Developer Mode is normally used at the factory in order to facilitate development and testing of on-board electronic systems. 4. 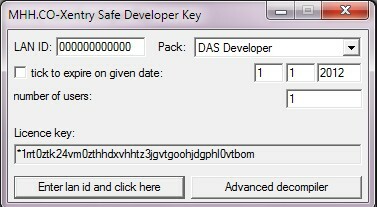 Das Developer Mode is normally shipped with every DAS system, however it remains locked until a valid Develop Key is entered into the configuration via the licensing menu of Star Utilities. 6: pls choose : save, "successfully"
WARNING! Be very careful when using the Developer functions! Many of them can cause irreversible damage to the components of the vehicle and may cause personal injury! Please be aware that modification to some specific systems (airbags, braking systems) may make the vehicle unsafe for on road use and may violate the local highway laws, rendering the car not roadworthy in the legal aspect. This is especially true for the SRS modules, where unintentional usage of developer options may cause deployment of airbags/tensioners and other aggressive restraint systems. Most of the development menus were designed to be used at the factories in the Germany, therefore they are usually not translated into English (or your local DAS language). Basic understanding of German terminology is required to use the extended functions; in doubt, please keep a dictionary (or electronic translator) handy. DISCLAIMER: The author of this manual takes no responsibility for any damage caused by use of the Developer Key of DAS. This option is a very powerful tool but must be used responsibly and with extreme caution. 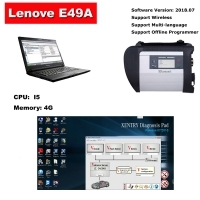 If in doubt, please do not blindly try the menu options, several of them will cause EEPROM or FLASH memory damage, requiring the module to be disassembled and reprogrammed using external tools - this is a troublesome and risky operation. Unintentional actuation of components may cause mechanical failures or even risk of fire - please remember, that in Developer Mode DAS will do exactly what you command, all safety checks and interlocks are bypassed! 1. What is a Developer Kit ? 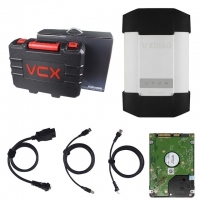 Developer is an extension to the Diagnose Assistance System for Mercedes-Benz vehicles. 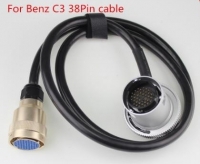 This extension allows in-depth manipulation of the configuration, data and programs stored inside the electronic control units of Mercedes vehicles. This extension is normally used at the factory in order to facilitate development and testing of on-board electronic systems. 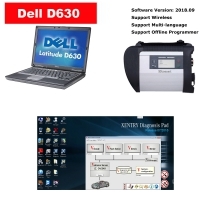 The extension is normally shipped with every DAS system, however it remains locked until a valid Develop Key is entered into the configuration via the licensing menu of Star Utilities. 2. 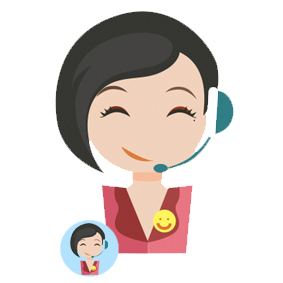 What is the benefit of using it? are missing from the regular DAS installations. These include recoding (variant coding) the control units without SCNs (Software Calibration Numbers), de/activation of commercially sensitive options (in-motion video of tv/dvd), recoding the configuration of airbag units, seat belt reminders, changing the configuration of instrument clusters, restoring damaged EEPROM contents for Comand/APS and other ECUs and many more. There is also an additional benefit: sometimes control units record a DTCs (error codes) that are filtered out by the production software. Developer kit allows unfiltered view on the module's error memory, therefore allowing to see all stored trouble codes, including the masked ones. The reasons for disabling these functions in the DAS setups seen at the dealership are very simple: firstly, risk associated with using them is too high to open these tools to (very often) under trained and rushing technicians; secondly, there are several legal obligations that put restrictions on what the dealer can do and what he can not - for instance, recoding tv-in-motion, airbags and emission-re lated systems fall into this category. 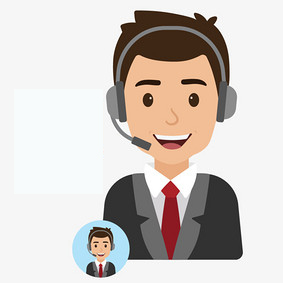 Thirdly, electronically damaged components very often result in replacement, therefore repairing (recoding) would have adverse effect on spare parts revenue. Firstly, you need the mentioned Developer key made according to your LAN ID. Before scrapping your old key, take note of the LAN ID (there are some cases when it changes ie. when reconfiguring the hardware) and the current License Key in the DAS. Both information can be found in the licensing menu of Star Utilities. Then replace your current key with Developer key, save and restart DAS. 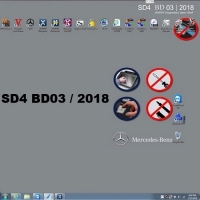 After selection of vehicle class there should be now a new screen (in German, except V-Series and W221 where it comes in English) informing you about dangers associated with using Developer Kit. You are good to go now. Looking at the basic screen of vehicle selection you might notice the first changes - there are new vehicle series available, including production prototypes or models not yet commercially available. Important note: if you are working on a production vehicle and there are two choices of the car in the menu ("normal" and "prototype") never try to talk to the car using Prototype data, as this will most probably cause damage to the electronic units. Usually prototypes are removed from the software a few months after the commercial launch. After selecting the vehicle series, proceed to defining the model, steering, transmission, engine and so on. It is best however to match the vehicle using VIN. This will of course require a recent version of the software to cover models produced up to date. Allows raw dump of the ECU identification, including HW and SW release and so on. 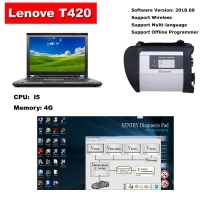 Apart from actuating the components connected to the outputs of the control unit (lights, motors, actuators, solenoids, relays pumps and so on) this menu usually contains number of software routines that are executed using this menu, ie. resetting the ECU, enabling test mode and so on. CAREFUL: Airbag modules have the option of actuating the airbag firing outputs directly from this menu. PROCEED WITH EXTREME CAUTION, DO NOT LET ANYONE SIT IN THE VEHICLE WHEN WORKING ON THE AIRBAG SYSTEM. Relevant menu options: look for Crashstufe Ansteuern, Zundkreis (ZK, ZK-Stufe) Ansteuern.. This also applies to actuating other components ? keep in mind that some pumps for example are not intended to be permanently switched on and they will overheat quickly. Some actuators might be in a invalid mechanical configuration and they will also get damaged when trying to move them using Developer menus. Please keep in mind that in the Developer Mode there are no safety interlocks. In these cases actuations should be performed only with relevant component disconnected to check for presence of switched supply voltage. A good example of benefit of using the Developer Actuation menu is Rear SAM of the W211 and W219 series: retractable headrests (RHR) can not be actuated using the standard module actuation menu, however, in the Development section there is an option of actuating each of three headrest release motors (or vacuum valves in case of Station Wagon). For instrument clusters there is a broad choice of extended testing options, which allow checking the displays, lamps, needle instruments and so on. Each module has a varying number of menu choices so please take your time and explore them in the DAS Simulation mode - do not expect them to work as expected in DasSIM - usually simulation is limited to simplest cases only, it is enough however, to get acquainted with the menu content). also usually an actuation called Module Reset (Steuergerat resetten, SG_Reset or similar) that will reboot the electronic control unit. to be in effect right away ? carry out a SG_Reset first! In cases where no option for induced unit reset is available, cycling the ignition switch might force the module to reload its settings and coding. 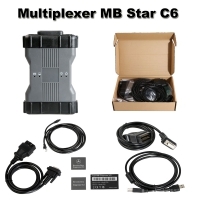 - Instrument clusters may be recoded to match different engine, model, version and so on. - When adding vehicle trim from different version (ie. Elegance or Avantgarde components installed into a Classic-level vehicle trim) they may be activated so ie. Additional lamps or other equipment is functioning properly. - Front fog lights can be activated to function as a cornering aid in vehicles W203, W171, W211 and newer. This coding is available in the module Front SAM (SAM-V). Please note that in the early W211 models the right SAM (Passenger SAM) also needs to be recoded. I have found a number of units that were having the cornering light in the Driver SAM but the appropriate option was missing from the right SAM. In this situation, only the left cornering lamp will function ? to overcome this, a right SAM would need to be replaced (rather na inexpensive from the second-hand market) Please note that for RHD vehicles the SAM functions are reversed (left vs. right, Passenger vs. Driver). 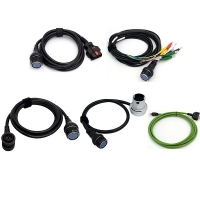 - Rear brake lights can be actitvated to function as adaptive lights, ie. They will pulse quickly when emergency braking is detected. Function supported in the rear SAMs as of approx. 06/2005. 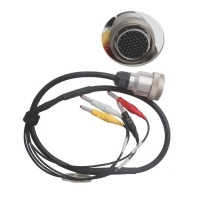 - Hazard lights can be configured to switch on automatically with emergency braking. Both above options are available in the module Rear SAM (SAM-F). Same as above. After performing module adaptation always perform the module reset (see the note under ?Actuations?). on the installed version of the ECU in question. For instance, recoding the Engine Control Unit might require upgrading its flashware to a more modern release first. Keep in mind that not all ECUs are update-able ? some of them might need a newer hardware to update the sw version. Control Units -> Drive -> ME-SFI 28 -> Development Data. This option works quite the same in Diesel engine models, however i found it more difficult to use (quite frequently modules are replying with an error message to the attempt of recoding). I was able to successfully remove the speed limiter on a CDI2 series module from the W210 model and some others as well. Select the drop-down list in the field Airbag Hinten Rechts and Airbag Hinten Links ? set to YES. Back up to the main Airbag menu, reset the fault codes, cycle ignition, reset fault codes again and cycle the ignition for 2nd time (this step is very important). Select Body, then Driver Side SAM -> Development Data -> Control Unit Adaptations -> Variant Coding -> Abbiegelicht set to ON. Then go to the Passenger SAM (if present, for example in 211/219 model series) and similarly, perform the same coding in the second SAM unit. I have found that quite often cars manufactured prior to year 2003 have the relevant cornering lights option available in the left sam, however right sam is missing it. Not a big problem since these are readily and cheaply available from the second-hand market. For all the onboard systems to recognize the new function you will also need to recode the CGW or EZS and mark the appropriate factory option in the adaptations. 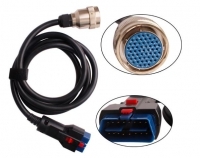 For W211/W219/W230 series with SBC system, go to the Chassis-> Sensotronic Brake Control (SBC) then enter Development Data then call up Fault Codes. Most likely, a car that has been driven for some time will have a code ?Event: ABS Bremsung? stored. This Fault/Event is not normally shown in the general menu of DAS ? it is being filtered. It actually does not represent an actual error, just a specific condition (hard braking with ABS activation). You will find many modules that actually filter out some more or less useful fault codes. This menu is also very useful when evaluating vague fault codes (ie: ?Hydraulics fault? in the general version in the developer menu can be drilled down to something more meaningful like ?rear left release valve stuck in closed state? ? this will come in German though). Adapting the SRS control unit to a new car (different configuration, different VIN). First of all erase all present error codes in the unit if possible. If there are current faults the airbag module might not get properly reinitialized. Then proceed to the menu control unit adaptations -> special functions -> Control Unit is released. From this point do not turn the ignition off or reset the control module. Proceed to the menu option ?initial startup? where the current configuration will be reinitialized and new VIN can be written to the control unit. Please pay attention to the specified configuration (ie. Does the car have rear side airbags?) otherwise you will end up with a controller that does not recognize airbags installed in the vehicle. After completing the initial startup, reset the control module (cycle ignition) and erase all fault codes resulting from the startup process.